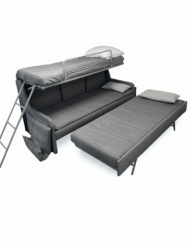 The Dormire Couch transforms into a bunk bed that can sleep 2 adults. 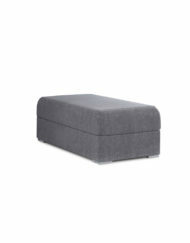 Simply lift up the seat base and the whole system raises up. 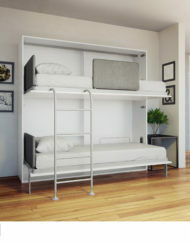 Lock it in place with the built in ladder and open up the support guards and you are ready to sleep on the top or bottom bunk. 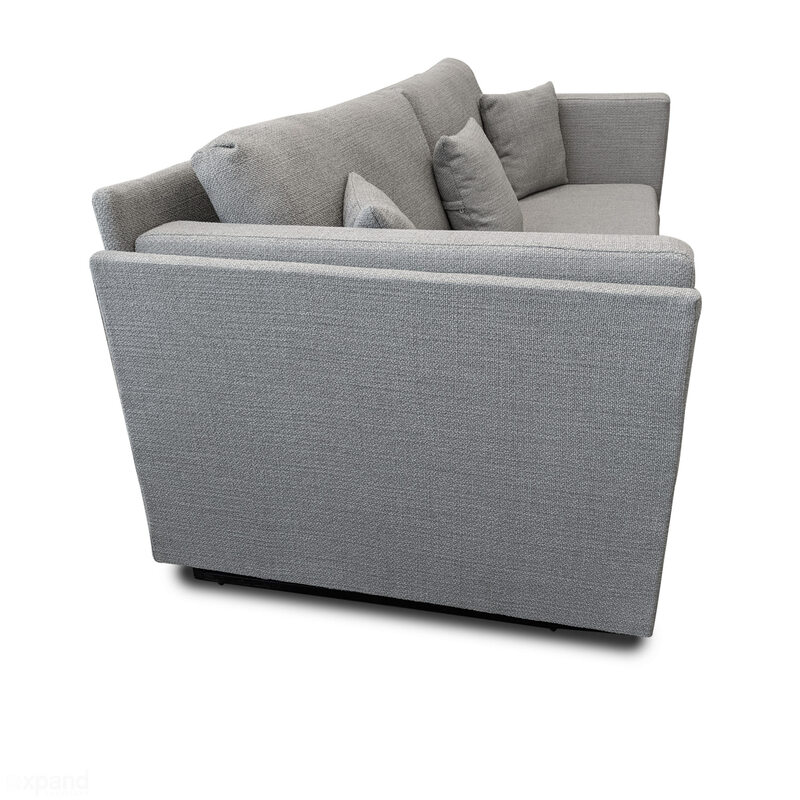 A super convenient design that is easy to use. 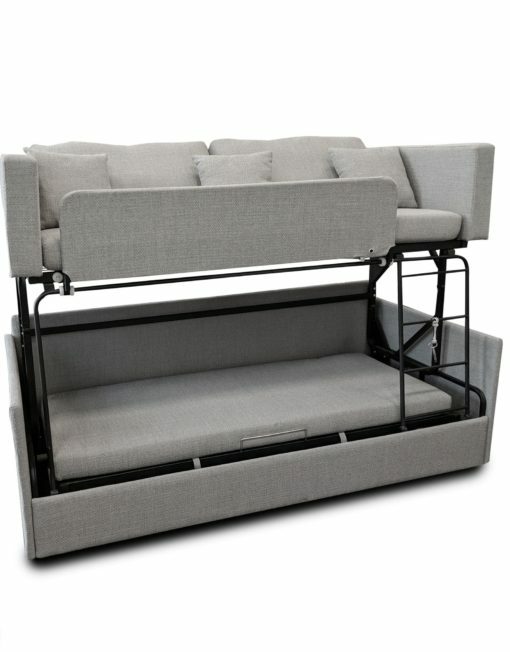 It takes less than a minute to transform the whole couch into a bunk bed sleeper. 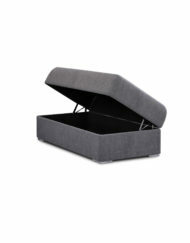 Quick Ship stocked item for USA/Canada. 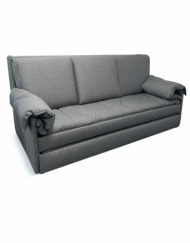 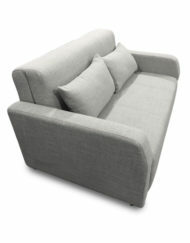 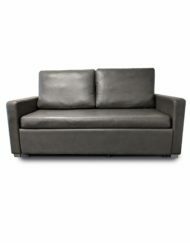 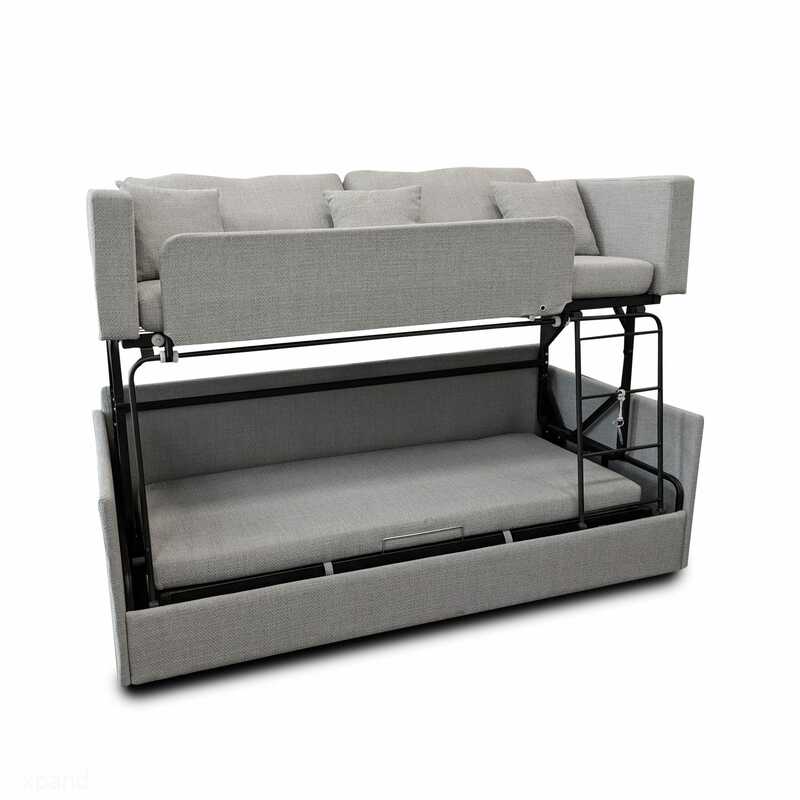 An easy to use bunk bed couch transformer, the Dormire sofa is 88.2 inches wide x 36.22 inches deep. 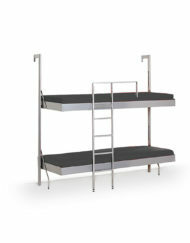 The upper bunk height is 51.2 inches tall and the built in ladder doubles as a support. 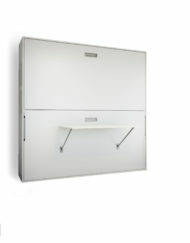 The system includes a key with a lock for added security. 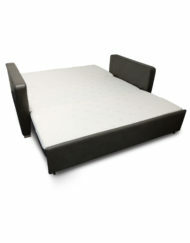 The Bed Base has a handle which helps you pull the system which lifts up with support springs. 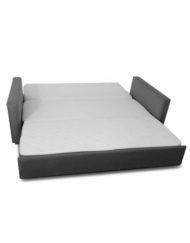 The Mattresses are medium density foam for a medium comfort as well as a medium seat feel which is widely liked by customers. 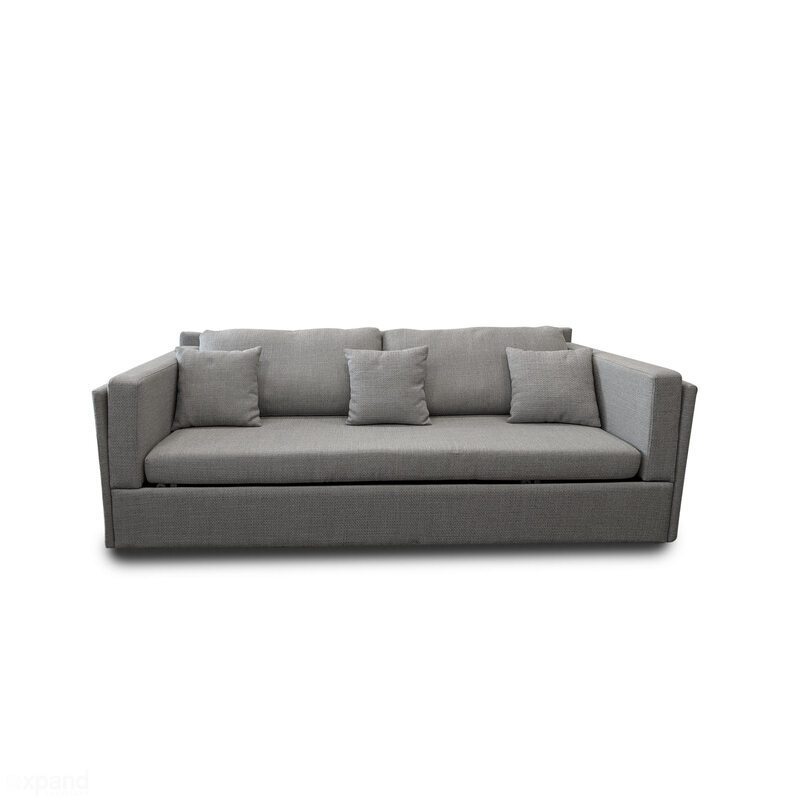 The Couch Seat height rests at 16.5 inches. 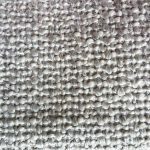 Fabric finish is in Sky Grey which is soft to the touch as well as highly durable and easy to clean. 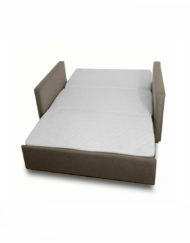 The Seats/Cushion/Mattresses unzip and you can hand wash or even replace the foam inserts in time. 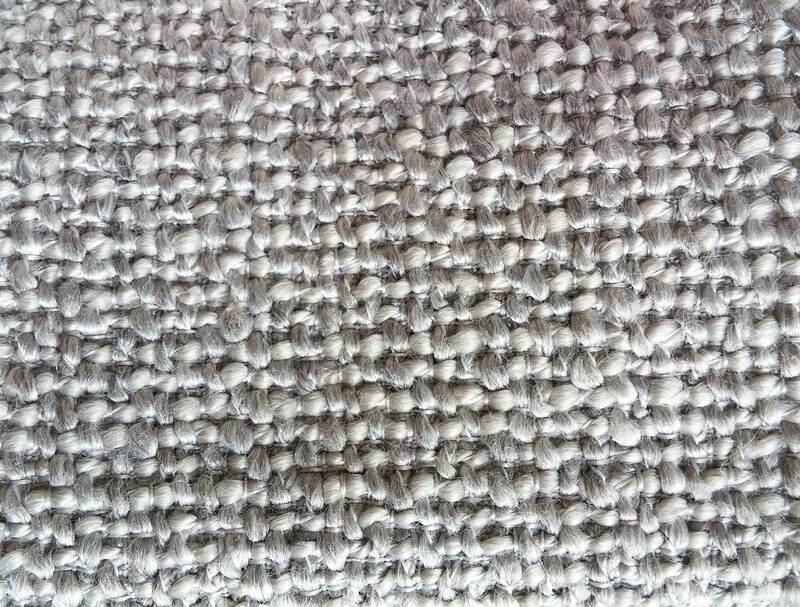 Only available in 1 color. 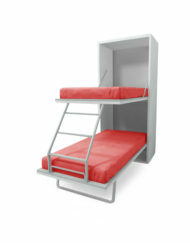 For more color choice you can custom order the Sofa bunk bed that sleeps 3. 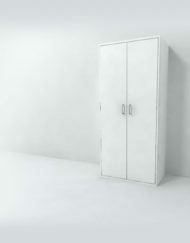 Make sure your door is at least 29 inches wide to accept this product. 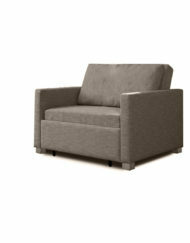 Curbside might available for quicker delivery if you do not require in-home, please inquire. 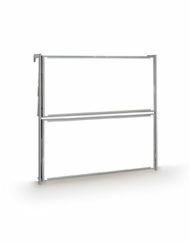 Your doorway needs to be at least 29 inches wide to accept this product in assembled form even after the packing is removed, this is your responsibility to check before ordering. 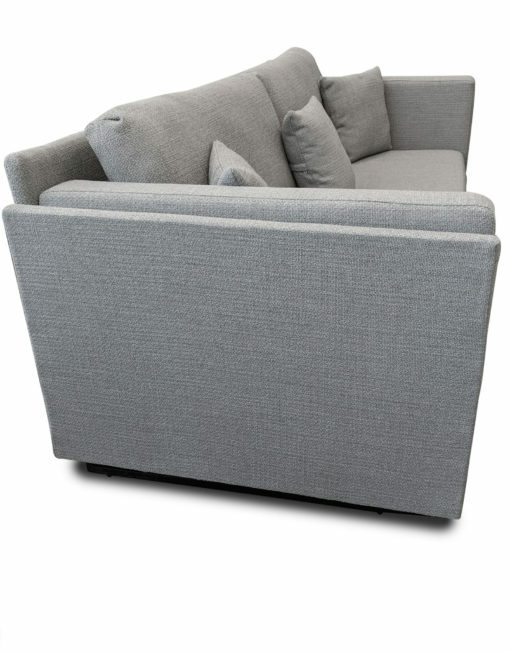 If your door is smaller it is possible for you to de-assemble the sofa to be smaller. 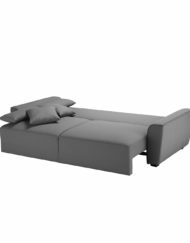 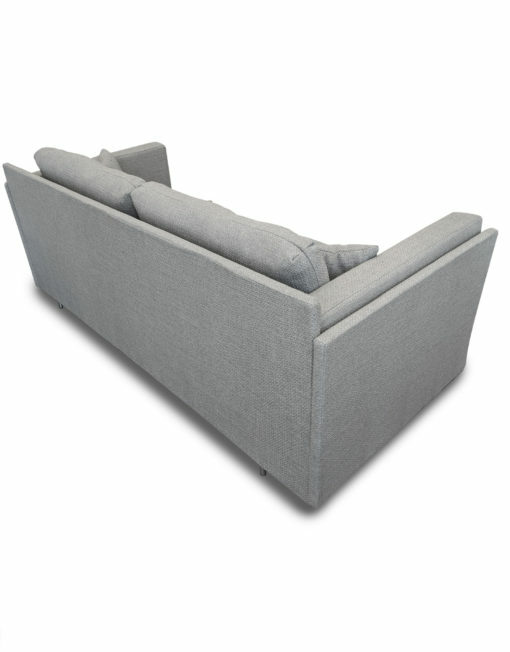 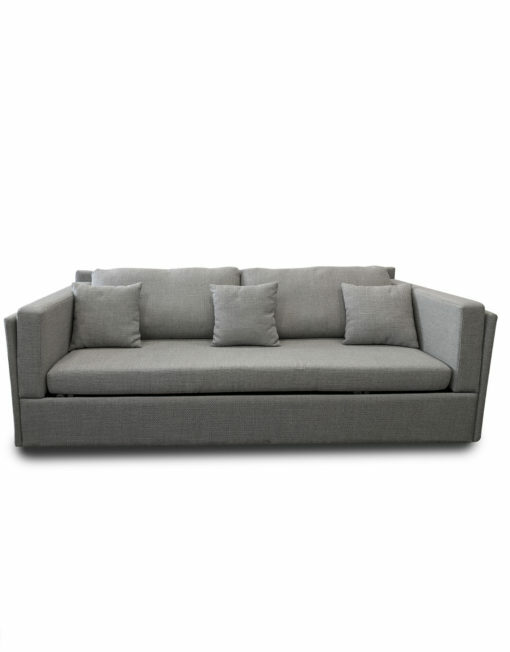 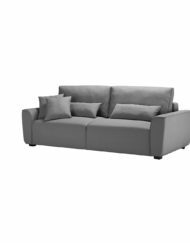 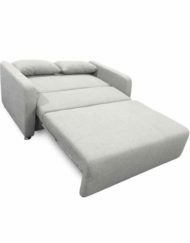 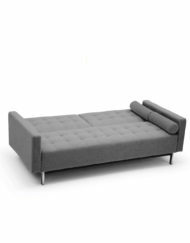 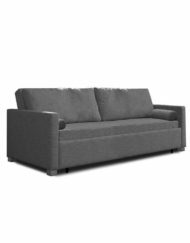 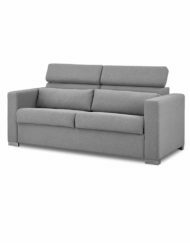 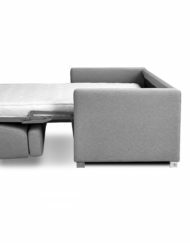 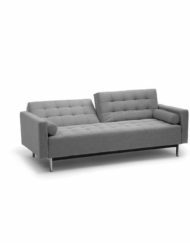 Only available in the Sky Grey Fabric: 100 % Polyester woven fabric make our designer couches immensely comfortable and are great for durability and wiping away minor spills.